Experience the durable breathability of a polyester-cotton blend at your next outdoor excursion. Racerback style and preshrunk fabric reduce unwanted gathering at the underarm and waist areas, increasing your range of movement. 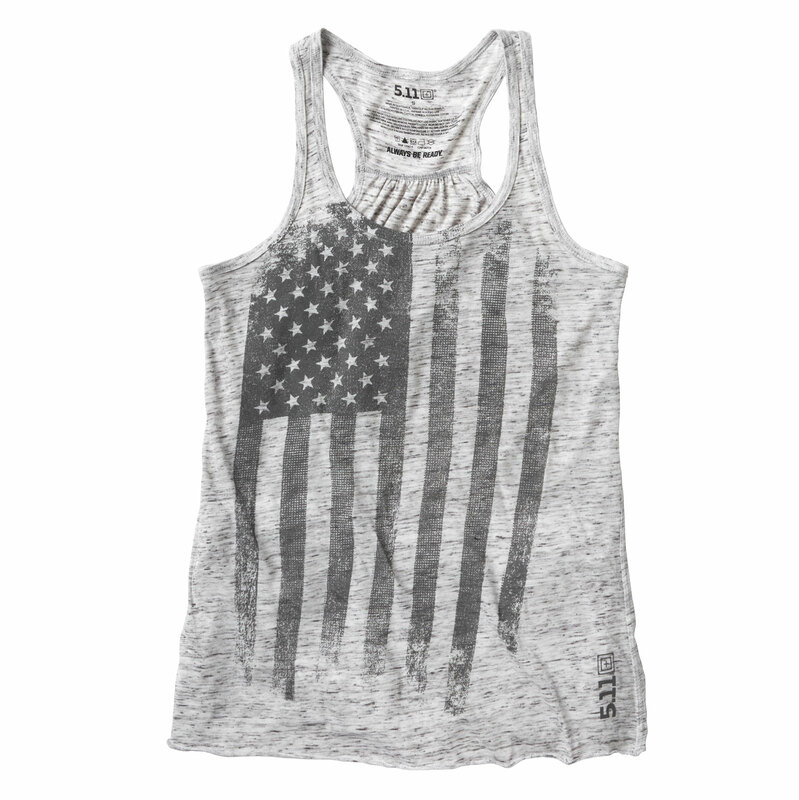 Show your patriotic spirit with the symbolism of our nation’s flag in subtle, slightly distressed hues.